When thinking of internet censorship we usually think of that in the likes of China with the Great Firewall of China or maybe even Iran. Other countries also have varying levels of censorship which usually come to light during times of upheaval or political instability. In recent years we’ve seen sites blocked especially social media in countries such as Egypt & Libya amongst others which is usually in relation to political or civil unrest and in attempts to block public knowledge of events inside the country being conveyed by ordinary citizens to the outside world. 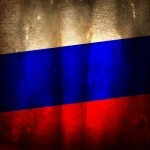 A new country is now hitting the headlines for censorship and it is one of the new BRIC countries, Russia. So why is Russian censorship on the rise exactly and what do they hope to achieve. The reasons given from the government are similar to those western government use to introduce new legislation, anti-terrorism with illegal websites thrown in for good measure. While it is true that Russia like any country has its own home grown terrorism it is also a handy reason for pushing the introduction for greater censorship under the guise or umbrella of such terms. At the start of the year the tongue tying named Federal Service for Supervision in the Sphere of Telecom, Information Technologies and Mass Communications aka Roskomnadzor was given blanket power to block any website that which may criticise or be considered a threat. While in theory this may not be so much of a problem on the face of things, the more troubling aspect of this ability is the fact that no court order or subpoena is necessary. It is obvious to see that without such measures in place any system such as this can be abused by anyone with power to influence such decisions. A new law passed is set to make the situation worse by requiring Russian users personal data to be stored inside the country regardless of the service or provider used. This means services such as Facebook and Twitter would be required to have physical servers inside the Russian Federation to be able to operate within Russian borders. While this with recent revelations about NSA spying may be a good idea it also leads to the possibility of a closed and monitored internet which could be used to restrict the freedom of expression of Russian citizens. The depth of such censorship is already being felt with the introduction of the law against bloggers which stipulates that any blogger with more than 3000 visits must register with the authorities, there are similar measures in place for users of Twitter with the same amount of followers. Why this should be required is plain to see and is an exercise in controlling the freedoms of speech of Russian users on the internet. The threat of fines only further points the finger towards the actions being carried out as way of Russian censorship and nothing more. The ultimate goal is to shut mouths, enforce censorship in the country and shape a situation where internet business would not be able to exist and function properly. Users in countries such as Iran and China amongst others are already well versed on ways to bypass such censorship and to protect themselves when discussing topics which the governments may otherwise frown upon. Russian users can be part of this system too by registering for a Virtual Private Network service or VPN as they are otherwise known. The way this can safeguard Russian users from censorship is by encrypting their internet connection from their home connection up to an end point of a server located in another country. This allows users to post freely, access web services freely without interference from government or others who may be interested on snooping on or recording what they are using their internet connection for. VPN services are used by millions of users around the world both in countries with high censorship and those worried about their personal privacy and would be a good solution for Russian users who wish to surf an unrestricted internet without fear of retribution for exercising freedom of speech. For Russian users comparing providers using our VPN Comparison Guide would be a good place to start however we recommend the following three providers for those looking to safeguard themselves from Russian censorship. To visit any of the providers simply click on their name below. VPN.ac are a Romanian registered company with servers in many locations including Romania which would be useful for Russian users on the Western side of Russia. IronSocket are a Hong Kong registered company with many servers to choose from, locations such as Ukraine could be a good choice for Russian users. NordVPN are a Panamanian registered company with a host of servers. Servers such as Lithuania and China would be good for Russian users.